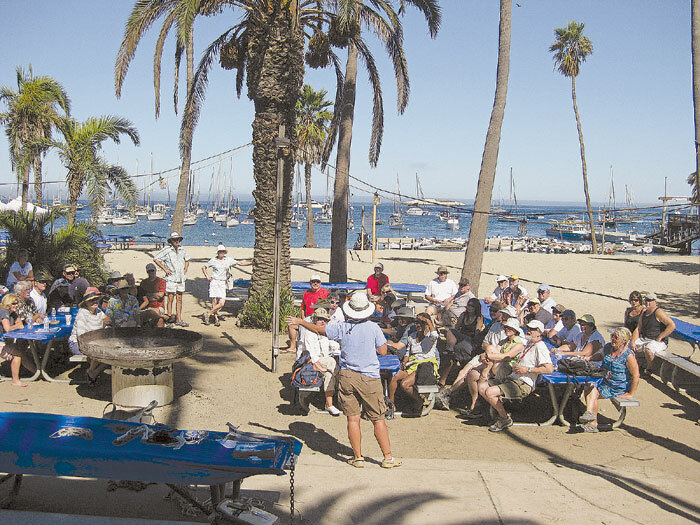 TWO HARBORS — The Catalina Cruisers’ Weekend will return to the Isthmus for its 16th year, to kickoff the traditional start of the Mexico and South Pacific cruising season. Experienced cruisers and newbies alike will attend to discuss the latest information on cruising destinations, tactics and tips during this festive island get-together. The event will begin at 5 p.m. Oct. 19 with a Happy Hour and live music at the Harbor Reef bar. On Oct. 20, exhibitor booths will open and cruising seminars will be scheduled all day. Seminars are tentatively planned to include “Cruising Light” with Capt. Woody Henderson, from 9-9:45 a.m.; “Anchoring” with Holly Scott, from 10-10:45 a.m.; “Cruising and Charlie’s Charts” with Holly Scott, from 1-1:45 p.m.; “Clearing Customs” and “Cruising with Family” from 2-2:45 p.m.; and “Ocean Fishing” with Eric Lovitt, from 3-3:45 p.m. A One-Oar Dinghy Race is scheduled at 11:15 a.m. off the beach, north of the pier. An Island Music Concert and Barbecue is planned to start at 5:30 p.m. Saturday, free to cruisers. Port Royal Yacht Club will serve tri-tip, and cruisers are asked to bring a favorite appetizer, side dish or dessert. Adventure Voyaging will provide beverages, and live music will be performed by Brent George and Fat Masts. A raffle and giveaways are planned to benefit Heal the Bay.